Hello wine lovers and happy #wineWednesday! I hope your week has been full of everything good. I celebrated my birthday over the weekend and enjoyed some beautiful glasses of wine. This week, I get to connect with some of my dearest friends both today and on Saturday evening…I love how birthdays can sometimes go on and on! Today, I have a delightful rosé for you from Longeril Family Estates based throughout the south of France. Their vineyards spread from and surround the gorgeous medieval town of Carcassonne…stunning! 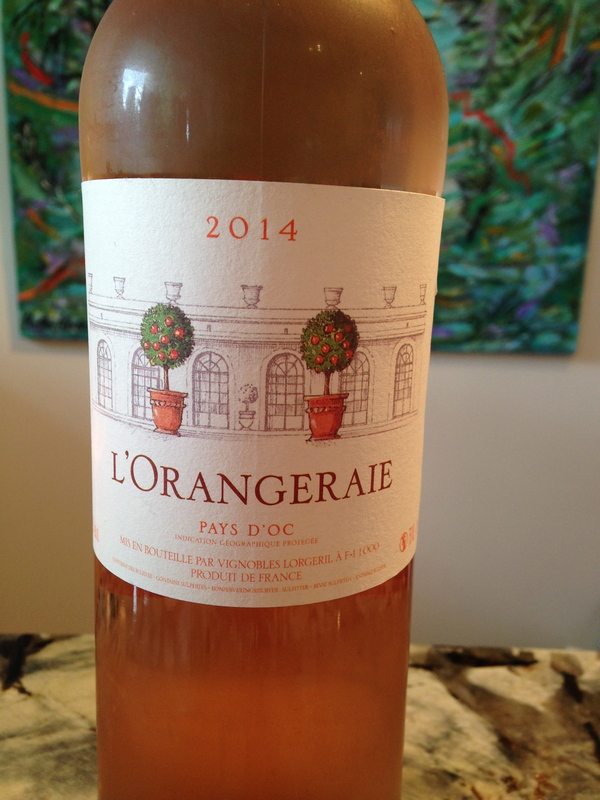 Longeril’s ‘L’Orangeraie’ Rosé 2014 is nothing short of the perfect casual rosé. Made up of traditional French varietals, this rosé is a blend of 50% Cinsault, 15% Grenache, 15% Syrah and 20% Merlot. In the glass, this rosé is a nice light salmon in colour with some interesting pink flecks. On the palate, it is an easy drinking wine with good acidity and a delicate flavour profile. There are aromas of fresh strawberries and raspberries along with some floral notes. On the palate, the flavours mirror the nose but there is also some refreshing cranberry and watermelon added to the mix. This rosé is a light bodied wine with 12.5% alcohol and pairs perfectly with springtime and sunshine! This rosé can be found at Everything Wine in North Vancouver for $13.29 a bottle. I suggest giving this pretty wine a try as BBQ season approaches. Dry, refreshing and interesting enough to be a real crowd pleaser, Longeril’s ‘L’Orangeraie’ rosé is a GGG ‘Hell Yes’.